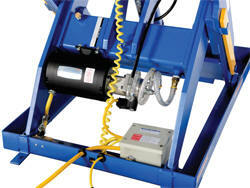 Full featured electric hydraulic scissor lift tables are used by all types of manufacturing and warehouse facilities. Safety features include: electric toe guard to protect pinch points during lowering of the table, internal safety velocity fuse to maintain platform height in event of hose or fitting failure, 24V AC pushbutton hand control, maintenance prop, and upper travel limit switch to stop table at maximum height. 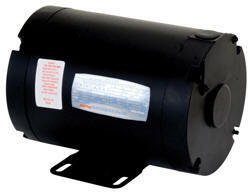 2HP, 460V, 3 phase, 60 Hz totally enclosed motor standard, other voltages available. 3000 psi hydraulic component rating. Safety Accordian Skirt: Keep people and debris from getting under the lift. Customer Installed. Contact factory.